Poland today is a very different country from the Poland of the past, yet attitudes inherited from the past continue to affect Polish–Jewish relations in the present. In Poland itself, now a free society, memories of the Jewish place in Poland’s history, long suppressed by communism, are being re-evaluated. In America the attitudes that had divided the two sides in the Old Country seemed for a long time to be becoming more entrenched. 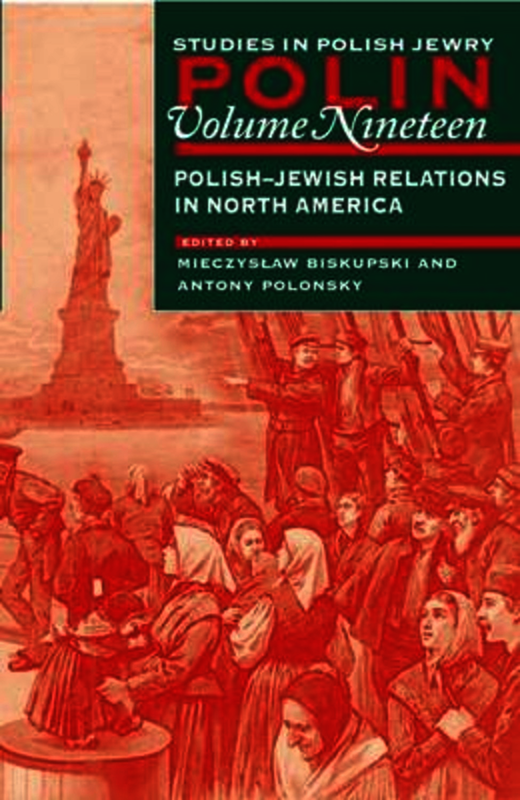 This volume—probably the first comprehensive study of Polish–Jewish relations in North America—explores how this situation came about, and also considers the efforts being made to put the resentments caused by past conflicts to one side as the influences long dominant in the Polish–Jewish relationship in North America begin to lose their formative power. The contributors deal boldly with matters at the heart of the relationship. There is an attempt to quantify the attitudes of both sides to a number of key aspects of the Holocaust, and fascinating questions are raised about how the Holocaust has distorted the perceptions that Poles and Jews have of each other, and why the Holocaust remains a problem in Polish–Jewish relations. Stereotyping is confronted head-on. There is an investigation of how crude stereotypes of Polish peasants have found their way into Jewish history textbooks, crucially affecting the disposition of American Jews towards Poland, and of how the stereotyped world of the shtetl still haunts the American Jewish imagination, with great consequences for attitudes to Poles and Polish Americans. The way in which this stereotype is challenged by realities encountered in the context of the March of the Living is provocatively discussed, along with the options for dealing with a landscape ‘poor in Jews, but rich in Jewish ruins’. A number of chapters describe attempts to overcome mutual stereotyping, including a detailed and valuable account of the National Polish American–Jewish American Council, and of the attempts that have been made to steer the Jedwabne debate in a constructive direction. These small beginnings show that it is possible to go beyond past differences and to concentrate instead on what has linked Poles and Jews in their long history. As in earlier volumes of Polin, substantial space is given, in ‘New Views’, to recent research in other areas of Polish–Jewish studies. Mieczyslaw B. Biskupski holds the S. A. Blejwas Endowed Chair in Polish History at Central Connecticut State University, and is the author of many books including The History of Poland; Ideology, Politics and Diplomacy in East Central Europe; Polish Democratic Thought; and Poland and Europe: Historical Dimensions. Antony Polonsky is Professor Emeritus of Holocaust Studies at Brandeis University and Chief Historian of the Polin Museum of the History of Polish Jews, Warsaw. He is the author of the three-volume History of the Jews in Poland and Russia, published in an abridged paperback version as The Jews in Poland and Russia: A Short History.